The Book Rat: Favorite Fairy Tales & the Mighty Jack Blog Tour! Favorite Fairy Tales & the Mighty Jack Blog Tour! 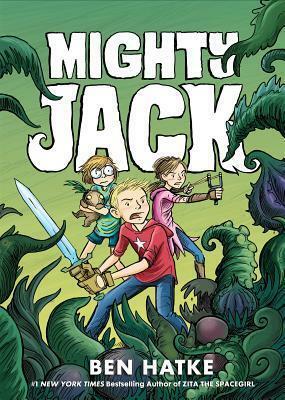 Today I'm part of the blog tour for Ben Hatke's Mighty Jack, which I'm sure anyone who's followed this blog for any length of time will know is something that's right up my alley. Not only is it a fairy tale retelling, but it's by the ever-incredible Ben Hatke (you know who I mean) AND we're talking about our favorite tales and adaptations (which is kinda my thing)! Now, I'm sure for most of the people on this tour, their favorite adaptation is — not coincidentally — also of their favorite original fairy tale, but for me, you don't run across my favorite tales too often. I mean, Cinderella and Snow White are great and all, but I think it's been well-established that I like the weird sh*t. The dark, disturbing, less-common fairy tales are my game, and have been since I was a small child, but even if it's not super dark, my tastes have always tended to the more obscure. The Elves and the Shoemaker, anyone? And while I have yet to find a retelling of that (and though there is a fantastic retelling of my childhood second-favorite fairy tale), my two favorite-of-all-time retellings (because of course there are two, when do I ever pick just one "favorite"?) are indeed of more unusual — and often less. . . happy — source material. 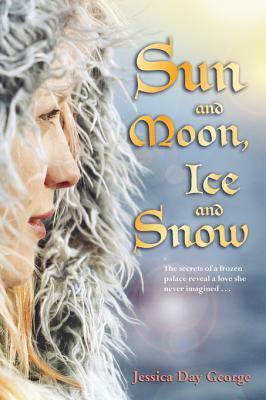 First up: Sun and Moon, Ice and Snow by Jessica Day George. This retells East O' the Sun, West O' the Moon, which is, I suppose, part of the Beauty and the Beast-strain of tale (which is itself descended from the Eros & Psyche myth, if we're honest, and since that is my favorite myth, I suppose I do sort of fall into that category of "favorites" I mentioned above). The general story is girl (with no name; she is known simply as 'the Lass') ventures out into the cold cold cold at the side of an isbjorn (ice bear), in order to help her family. It follows the basic BatB bullet-points from there, with her eventually realizing that the 'bear' is really a prince under a curse, yada yada, and we'll save for another day the discussion of how creepy and effed up it is that this cycle of stories hinges on a girl falling in love with a bear/beast/creature-she's-forbidden-to-see, etc. etc, — and also how much I love these stories anyway? — because that is neither here nor there. No, the beauty and the strength of this story, and the reason I adore it so, is the absolute, slavish love that Jessica Day George poured into it. It pulsates from the pages, her passion for Norway and this story; the people and culture and scenery and mythology, the characters and setting and world. The Lass is intriguing and one of my favorite characters, ever, and I love Bear. I love him. I just do. I felt the cold and the isolation, and the magic and romance of it all, and it is just a book that won me over, head to toe, cover to cover; my thoughts on it are very warm, despite all its blustery coldness. 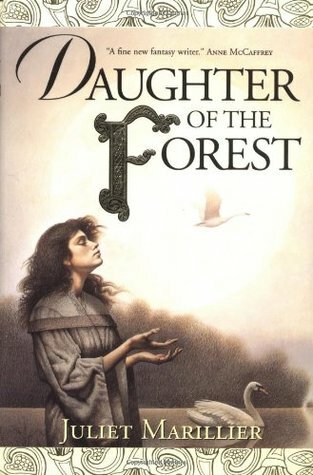 The second story, and my absolute Favorite of all Favorites, is Daughter of the Forest by Juliet Marillier (shocker). I may have talked about this book a time or twelve. It's a retelling of The Wild Swans, a disturbing little story that is strangely close to my heart. It's a Hans Christian Andersen tale, so of course it's pretty effed up. (Not that any of them are all that rosy, tbf. But Andersen had issues, man.) It starts slow, and it has some bobbles along the way, but my god, is it ever a powerhouse. I reread this book routinely (pretty much annually, but I'm overdue), and it gives me chills and butterflies every time. Not even kidding. Marillier captures something with this story, these characters. It's not just that it's a very strong retelling of an interesting (if odd) story, but that she creates a huge, tangible world, an epic romance, characters I could almost reach out and touch, and — just — FEELS. Feels, man! Her writing is beyond evocative, lush and powerful, and gah! Talking about it makes me want to read it yet again. So there you have my two favorites, but the general list is a long one. I've got fairy tale recommendations for days. Which brings us to my thoughts on Mighty Jack. I find this transition kind of funny, because it's actually a retelling of one of my "problem" fairy tales, Jack and the Beanstalk. Like all kids, I loved this tale as a kid, because it frankly doesn't get much more silly or whimsical than this (in mainstream fairy tales, at least). THAT SAID, even as a kid, Jack really bothered me. REALLY bothered me. I mean, selling the cow for beans is bad enough (you fool! ), but repeatedly breaking into a giant's house and stealing his ish is a whole other level — and then Jack has THE NERVE to kill the giant over it! And is considered a hero! 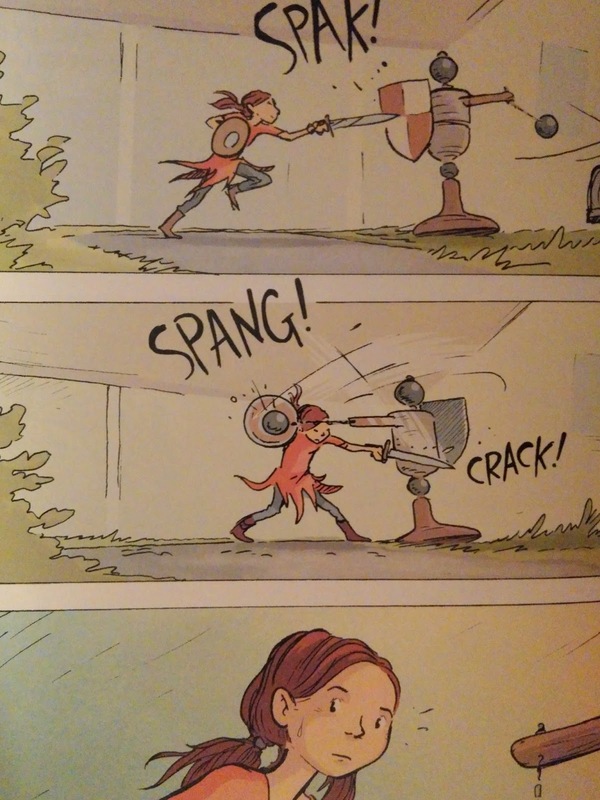 One of my favorite things about Hatke's stories is the amazing female characters he creates. I'd imagine it's in large part due to the gaggle of fierce, creative, amazing daughters he has, but whatever the reason, these are the types of stories and characters I longed for (and struggled to find) as a kid. Of course, his characters are great across the board, always; it's one of the things he excels at, and one of the reasons I love his stories so. And he always gets me with those damn quirky, should-be-inanimate characters. Rocks. Robots. An onion/turnip/mandrake thingy that, okay, I don't even know what is this or why, but I love it and I want one. Also, it's really funny; did I mention that it was really funny? And that's probably all I should say, other than: you should definitely pick this up. If you're a fairy tale fan, pick it up. If you're a Ben Hatke fan, pick it up. If you're a comic and graphic novel fan, pick it up. If you have kids (in your classroom; visiting your library; expelled from your uterus), pick it up and read it with them. 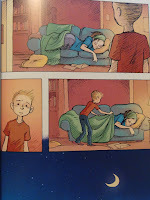 It has the heart and the art I've come to associate with Ben Hatke, and both of things are all you really need to know to know it's going to be good. And I'll just be over here, *patiently* waiting for book 2. ...and, err... Sorry for all of the ellipses and parentheses and em-dashes and run-ons... I ramble when I talk about fairy tales and things I like. Find the rest of the Mighty Jack blog tour stops below; I'd highly recommend checking them out (more fairy tale favorites! ); Mighty Jack is in stores now! If you end up reading it, I'd love to know your thoughts! Jack might be the only kid in the world who's dreading summer. But he's got a good reason: summer is when his single mom takes a second job and leaves him at home to watch his autistic kid sister, Maddy. It's a lot of responsibility, and it's boring, too, because Maddy doesn't talk. Ever. But then, one day at the flea market, Maddy does talk—to tell Jack to trade their mom's car for a box of mysterious seeds. It's the best mistake Jack has ever made. What starts as a normal little garden out back behind the house quickly grows up into a wild, magical jungle with tiny onion babies running amok, huge, pink pumpkins that bite, and, on one moonlit night that changes everything…a dragon. 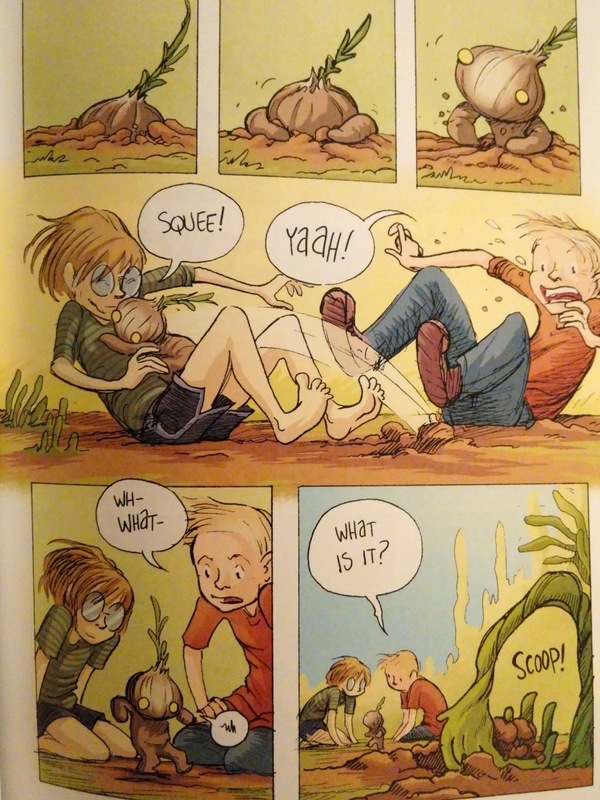 Ben Hatke is an author and illustrator of graphic novels and picture books. 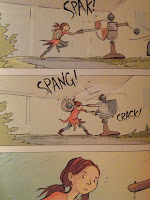 Most notably he is the creator of the Zita the Spacegirl graphic novel series. *All Might Jack artwork shown copyright © Ben Hatke, 2016. 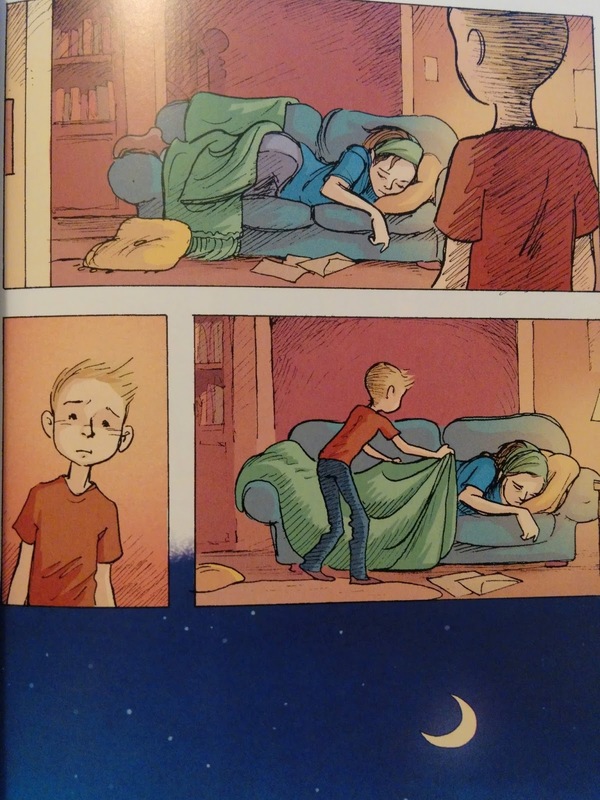 Speaking of awesome, can we take a moment to appreciate how graphic novels are now all MG and YA and not just superhero tales? YAY! About Daughter of the Forest.. Incredible. I know I've said I've been speechless when reading books before, but this time, I genuinely don't have the words to express what a masterpiece this novel is.